​"Destined to bring hope & healing through Christ with horses"
Here at Destiny Youth Ranch, we have a heart for youth and hope for their future. 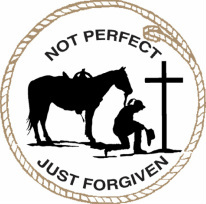 Our program is geared toward those who would like to learn more about God and would appreciate being able to spend time with horses. Destiny Youth Ranch was founded by Corilee Boer and Lana Snyders in August of 2009. DYR is a non-profit organization. "I have been working with kids and teens for around 21 years now. I have directed our community Vacation Bible School for 10 years, led praise and worship in our church, worked with our church youth group, led and assisted leading First Priority at our local high school, participated in puppet ministry, clown ministry, and served on the board at Crossroads TEC (Teens Encounter Christ) - which is an interdenominational group that is an outreach to teens in our area. I served as a Pastor at Christ Lutheran Church of Alvord, IA from 2010-2018. My heart has been to love every child and teen I come in contact with. My goal is to share the saving grace of our Lord Jesus Christ. He is the ultimate Friend, One who will never leave you, One who died for you and loves you more than you can ever imagine. After all, how many of your friends would lay down their life for you? How many would endure unbearable agony and torture for you? We have prayed for years and have opened our home and property to kids, teens, and adults of all ages. We purchased some of our first horses in the fall of 07' and rescued several horses after reading a book called, "Hope Rising" by: Kim Meeder. We invite you to join us at the ranch & see what God might have in store for you!" ​"First for a little background info: I am 31 years old, happily married to the man of my dreams (Steve) & enjoy being a stay-at-home AND homeschool mom to my 8 year old lovely lady, Tamiya - My 11 year old princess, Sarah - & my wild baby boy, Zeke. ​The only reason I feel empowered to reach this generation for Christ is because of the strength He has given me... I know that I am nothing without Him. After experiencing some traumatic events growing up, I had a very hard time trusting people. I had a lot of anger and thought I'd never be able to forgive the people that hurt me. I didn't understand what forgiveness was, what it was not, or how important it was. It was God that brought complete healing into my life. He showed me unconditional love through my husband Steve, but He revealed my specific calling through the first horse I ever had a true bond with, named Dreamer. It was through Steve I was able to trust & love again, but it was through Dreamer I learned that God could actually use me to bring healing to His children. All we knew about Dreamer before he arrived was that he was from a ranch out west & that he was used as a "cutting" horse (trained to separate cattle). After closer observation we learned that he had likely experienced serious physical abuse. We could tell that he'd had a broken nose, which left a large bump on his precious face (possibly from being struck by a board or beer bottle - we've been told). We were horrified when we realized what a hard life he had before coming to us. After much prayer, patience, & persistence I finally came to the point where Dreamer would allow me to brush his long mane and groom his faded coat. It was such a breakthrough! He was allowing himself to trust again and I trusted him completely. He was my Dreamer. My friend. We were a team. On that sorrow-filled day I was reminded that I was not alone. God was with me through it all. He helped me to grieve, be healed, and eventually move forward again. God's redemptive love lifted me up and showed me my purpose in life... to love others unconditionally and help them understand their identity & worth in Christ, regardless of what the world says about them. 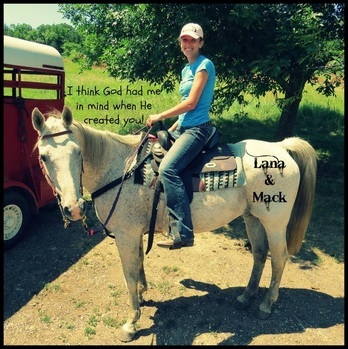 I had learned firsthand that people can receive healing through His creation, the horse. Currently I am seeking to mentor as many young people as I can. My heart especially goes out to young ladies that have a hunger to know God more.